Home Greyhound Betting who’s top dog in the world of greyhound racing? The UK and Ireland battle it out with Australia to be named the home of modern greyhound racing. It’s a fair fight, too, with both sides bringing an array of big-money races, often contested at impressive venues that put many sports stadiums to shame. England’s premier dog racing stadium? That may not be the opinion of all involved in the sport, but Romford dogs is a real favourite with punters and was awarded Racecourse of the Year by the British Greyhound Racing Board. The Coral-sponsored stadium is easily accessible by rail or road from central London and is, sadly, one of the city’s last remaining tracks. Boasting a capacity of over 4,000, hosting five meetings a week, its main competitions include the Romford Puppy Cup, Coronation Cup and Champion Stakes. The home of the English Greyhound Derby and it’s little wonder that this jewel has been chosen to sit atop the crown. The course, opened in late 2014, sparked the sport back to life in the UK when becoming the first of its kind to launch on English soil in almost two decades. As well as the Greyhound Derby, Towcester also plays host to real standouts on the schedule such as the Champion Hurdle and Puppy Derby. Located within Towcester horse racing course, it offers a truly unique experience, with many positives from the world of horse racing brought to the dogs, including a big screen finish. 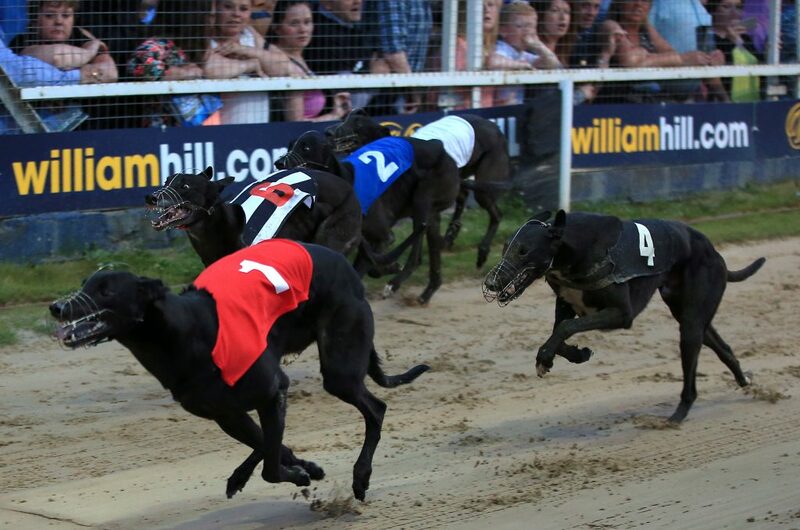 Rio Quattro (1) wins the 2015 William Hill Greyhound Derby in Towcester. Ireland, not to be left behind their British cousins, unveiled Shelbourne Park in 1927 on Dublin’s Docklands. Despite its history, the arena has a modern feel about it and, as such, is the preferred choice to host some of the year’s biggest races from Ireland, including the Irish Greyhound Derby, Easter Cup, Oaks, St Leger and Shelbourne Gold Cup. A once multi-use stadium, Shelbourne has also held football and speedway events. Located close to Dublin City Centre, it’s gives a good mix of seasoned greyhound followers, casual punters and stag/hen parties. Headlining the Australian attack we have Sandown Park, home of the Melbourne Cup. A group one spectacle, it stands as the richest prize in the sport and the fact organisers have chosen Sandown as its own speaks volumes. Opened in September 1956, the present schedule brings weekly racing on a Thursday and Sunday. As well as the Melbourne Cup, it also presents the Sandown Cup, another group one showpiece, dubbed Australia’s richest staying race, the Speed Star Super Sunday – a fast-paced event featuring 24 match races run over a range of distances – and the group three Shootout – the four fastest dogs in the country contesting a winner-takes-all $25,000 prize. 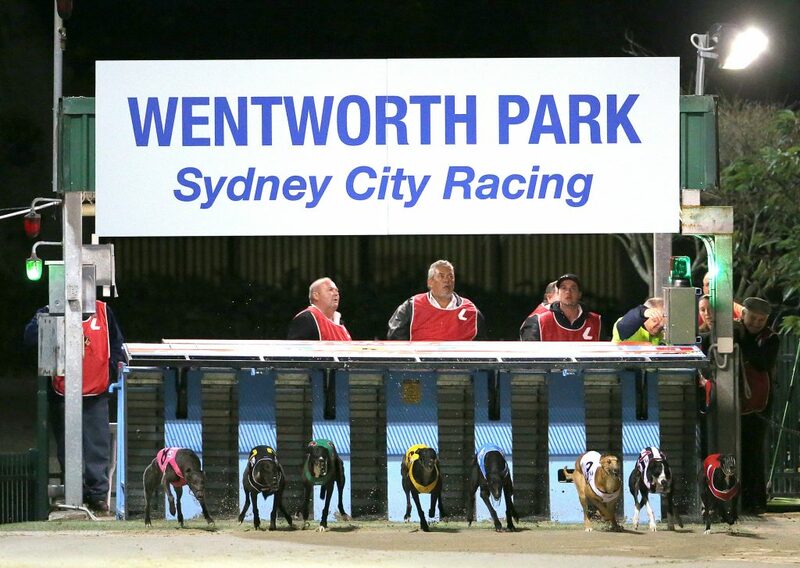 Visitors to Wentworth Park take many forms, from rugby lovers to football, speedway and, of course, greyhound racing. The multi-purpose stadium ensures heavy investment, and it shows. Racing takes place on Friday and Saturday evenings, events decided over 520m and 720m. Always popular, but there’s no doubt about the main attraction: the Golden Easter Egg. A group one dash, it’s the pinnacle of the Easter Carnival and with prizes of one million dollars up for grabs, the 25,000 visitors are guaranteed to see the biggest names in the sport attend.